Home Archive for category "Extradition"
Human rights advocates often point to the lack of consistency and coherence between states’ stated commitments, on the one hand, and their actions, on the other. Even then, the tensions surrounding the UK’s recent approach to the goal of protecting media freedom globally and its projection seem striking. Within less than a week, the UK government has gone from showcasing its new campaign to defend media freedom – specifically the appointment of the Foreign Secretary’s Special Envoy and a panel of legal experts “to support countries to repeal outdated and draconian laws and strengthen legal mechanisms to protect journalists”, as well as an international conference to be held in London on 10 and 11 July, co-hosted with the Canadian government (on 5 April) – to facing a chorus of warnings from wide range of human rights organisations, authorities and activists – including the American Civil Liberties Union, Human Rights Watch, the Committee to Protect Journalists, the Knight First Amendment Institute, the UN Special Rapporteur on freedom of expression, David Kaye, and Pentagon Papers whistleblower, Daniel Ellsberg – that the UK’s possible extradition of Julian Assange to the United States to face, at the moment, a single charge of conspiracy “to commit computer intrusion” would pose a threat the lawful and legitimate activity of journalists, especially their communications with their sources, setting a “dangerous precedent” for the future prosecution of “legacy” news media organisations. The European Arrest Warrant against Puigdemont: A feeling of déjà vu? On 2 November 2017, the Spanish State Prosecutor asked Carmen Lamela, a Spanish judge, to issue a European Arrest Warrant against Carles Puigdemont and four of his former ministers following the vote of secessionist Catalan MPs to declare independence. They face potential charges of sedition, rebellion and misuse of public funds. Carles Puigdemont, who arrived in Brussels a few days before the news of the warrant was made public, called in a Belgian lawyer to defend his case. The Spanish authorities may not be thrilled by his choice. In 1993, Spain issued an extradition warrant against two Basque secessionists who fled to Belgium, Moreno Ramajo and Garcia Arrantz. They were accused of participating in an unlawful association and an illegal armed band. The Court of Appeal of Brussels issued an Advisory Opinion according to which, the warrant was founded on political crimes and therefore, the extradition request should not receive a favourable response. The Belgian Ministry of Justice nevertheless ruled in favour of the extradition. In the meantime, Moreno Ramajo and Garcia Arrantz lodged an asylum application in Belgium, which was received admissible for further consideration. The extradition procedure was put on hold until a final decision to reject their asylum applications was made in 1994 on the grounds that despite the fact that cases of abusive behaviours of Spanish authorities towards Basque secessionists existed, these were isolated cases. Therefore, the argument was that there was no reason to believe that the Spanish justice system would fail to provide them with a fair trial. Thus, the extradition request was pursued and accepted. Following this decision, the couple submitted a procedure of extreme urgency before the Belgian Council of State in order to stop their extradition. This was successful and their extradition did not proceed(E. Bribosia and A. Weyembergh, ‘Asile et extradition: vers un espace judiciaire européen?’ (1997) at 73-77). Extradition: English Court refuses to extradite alleged génocidaires to Rwanda–will a domestic prosecution follow? The Divisional Court of England and Wales has dismissed the appeal of the Government of Rwanda in the high-profile extradition proceedings against five alleged génocidaires in the case of Rwanda v Nteziryayo and ors. The men will not be extradited to Rwanda to stand trial for genocide and it now appears that, if they are to be tried at all, it must be in the UK. The judgment of the Divisional Court affirmed the decision of District Judge Emma Arbuthnot on 22 December 2015 to discharge the extradition requests on two grounds: double jeopardy–one of the requested persons had been tried in a domestic ‘Gacaca’ court—and article 6 of the European Convention on Human Rights. The Judge accepted the evidence of the requested persons that there was a real risk they might suffer a flagrant breach of their rights to a fair trial if extradited to Rwanda. The background to this latest decision reveals the evolving measures employed by the international community to promote justice and end impunity for international crimes. Lord Advocate v. Zain Taj Dean  UKSC 44 concerned an extradition request, made by the Republic of China in Taiwan (‘ROC’). Dean, a British national, had lived in Taiwan for many years. In 2011, he was convicted for manslaughter, drunk-driving and leaving the scene of an accident by an ROC court. While on bail, pending an appeal, he fled to Scotland. His convictions and four-year sentence were upheld, in absentia, in 2012. The request was made pursuant to an ad hoc ROC/UK MOU, and in accordance with section 194 of the Extradition Act 2003. The Edinburgh District Court ruled that Dean could be extradited but the Scottish Appeal Court disagreed. The Supreme Court had to decide whether Dean’s extradition, to serve out the remainder of his sentence in Taipei prison, would violate Article 3 of the ECHR. We should have known. Once Julian Assange publically stated that he would surrender to the UK authorities if the United Nations Working Group on Arbitrary Detention found against him, it was obvious that the Working Group had done no such thing. And its opinion was released today, to widespread derision among the legal community (at least as expressed by my twitter feed). To get the obvious issues out of the way: the Working Group is a UN body but it is not, and does not represent, ‘the United Nations’. Instead, it is one of the ‘thematic special procedures’ of the UN Human Rights Council, which is itself a political body established by and reporting to the UN General Assembly. The Working Group was originally established by the Commission on Human Rights, the Human Rights Council’s predecessor, and had its mandate renewed, most recently by the Human Rights Council in 2013. In contrast to the HRC, however, the Working Group is a body of independent experts serving in their individual capacities. It presently has five members: from South Korea, Mexico, Benin, Australia and the Ukraine. The Working Group is tasked with investigating cases of deprivation of liberty imposed arbitrarily, with reference to the relevant international standards set forth in the Universal Declaration of Human Rights, as well as to the relevant international instruments accepted by the States concerned. It can consider individual communications and, having done so, render opinions as to whether an arbitrary detention has or has not been established and make recommendations to the State concerned. What all this means is that the Working Group cannot issue binding decisions (contrary to what Julian Assange’s legal team are arguing), hence their description as ‘opinions’. Nor can it provide authoritative interpretations of any human rights treaty (having not been granted that role by the parties to any such treaty). The most that can be said is that States are under a duty to take ‘due consideration’ to Working Group’s recommendations, which is a rather weak obligation. Last week a chamber of the European Court of Human Rights decided Gray v. Germany, no. 49278/09. The applicants were the sons of a British man who died in the UK after a doctor gave him the wrong drugs on a house visit. The doctor was German, and was hired by the UK National Health Service to provide out-of-hours home service to NHS patients. The doctor returned to Germany after the applicants’ father’s death. After a criminal malpractice investigation was conducted in the UK, Germany refused to extradite the doctor on the basis that criminal proceedings would ex officio take place in Germany. Those proceedings were later summarily completed, with the doctor sentenced to a fine, without notifying the applicants that the case would be disposed of summarily. The applicants claimed that this violated the procedural limb of Article 2 ECHR, read jointly with the overarching Article 1 obligation to secure human rights. For various reasons, the Court rejected the applicants’ claim on the merits. But what makes this case interesting is that neither the German government, nor the Court sua sponte, thought that there was any Article 1 jurisdiction issue in saying that Germany had the positive obligation to investigate an unintentional death that took place in the United Kingdom, and at that at the hands of a private individual. Look at just how broad this position is – broader, indeed, than what I have argued for, since in my view a positive obligation would only apply if the death took place in an area controlled by the state or with state involvement. Again, neither the Court nor the German government apparently thought that any Article 1 problem arose, presumably because the doctor was on German territory even though the applicant’s father had been in the UK. This well shows how in the small, politically unimportant cases people just tend to follow the universalist impulse and are oblivious to the existence of threshold applicability problems. Note, however, that the Court must ex officio confirm that the Convention applies and accordingly mind that it has subject-matter jurisdiction. If the issue was raised perhaps the Court would have decided it differently, but even so the case stands for the proposition that ECHR states parties have the duty to investigate even accidental deaths that took place outside any area under their control if the alleged perpetrator is located in such an area. Stated in these terms, the implications of such an expansive approach are I think clear. Remember Alexander Litvinenko’s assassination in London, ostensibly at the hands of Russian agents? His family took a case against Russia to Strasbourg, which (I’ve been told) is on standby while issues around possible inquiry proceedings are being resolved in the UK. Suddenly that case becomes much easier for the applicants – regardless of whether the radioactive poison was administered by a Russian agent, if the alleged perpetrator is in Russia then Russia would have an Article 2 obligation to investigate. Similarly, if say a British tourist killed somebody in Thailand but then managed to escape back to the UK, the family of the deceased person in Thailand would have Article 2 rights vis-à-vis the UK and the UK would have to investigate the death, at least if it refused extradition. And this approach would a fortiori apply to cases where there is state involvement, e.g. when a soldier kills a civilian in an area not under the state’s effective control, but later returns to the state’s own territory. In short, the Court seems to have actually created a comprehensive aut dedere, aut judicare principle under the ECHR, that applies even to unintentional taking of life, and probably did so unwittingly. Obviously we’ll have to wait and see whether Gray will have such an impact, or whether the Court will somehow manage to reverse course. Dr. Mark D. Kielsgard, is an Assistant Professor of Law at City University of Hong Kong. On June 14, 2013, the U.S. lodged a criminal complaint against Edward Snowden for theft of government property and espionage after he had fled the country. Snowden is seen by many as a hero and modern whistleblower. Protecting whistleblowers has become increasingly important as the U.S. has been stepping-up use of the Espionage Act of 1917 to prosecute suspected whistleblowers (Obama’s Abuse of the Espionage Act is Modern-day McCarthyism, The Guardian, Aug. 6, 2013). Government employees, contractors and journalists have voiced concern over reporting misconduct for fear of government reprisals. In light of recent developments in the U.S. and the general temptation of all governments to cut corners in the post-911 era, extradition protection for whistleblowers who seek protection abroad is essential to protect political activism and foster political change. This essay will consider the continued relevance of the political offense exception common to most extradition treaties and discuss its implications for modern whistleblowers abroad. The U.S. seems to provide fugitives with among the lowest threshold of protection while many other states have evolved their standards. This is largely due to the antiquated interpretation of the traditional “incidence” test recognized for “relative political offenses” under U.S. law. As virtually no political offense can qualify as a “pure political offense,” a “relative political offense” analysis is indispensible. By recognizing a lower threshold of protection for “relative political offenses,” U.S. law has effectively rendered this exception meaningless. Christian Henderson is Senior Lecturer in Law and Director of the Human Rights and International Law Unit at the University of Liverpool. 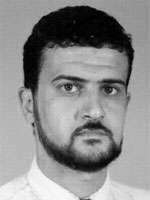 On 5th October 2013, the US Army’s Delta force entered Libyan territory and seized the alleged al-Qaida leader Nazih Abdul-Hamed al-Ruqai (pictured right), more commonly known by his alias Abu Anas al-Liby, who was wanted by the US for the 1998 bombings of the US embassies in Kenya and Tanzania. The incident recently made the news again as al-Liby came before a Federal Court in New York to plead not guilty to the offences with which he was charged. 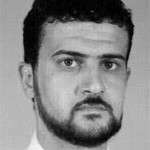 Unsurprisingly, the US has made a robust defence of both the raid to seize al-Liby, including apparent invocation of the Authorisation for Use of Military Force (AUMF) adopted under the Bush administration (for an analysis of the use of AUMF see the post by Marty Lederman on Just Security here), as well as its current jurisdiction over him in order to bring him to justice for the bombings (see here and here). Roger O’Keefe is University Senior Lecturer and Deputy Director of the Lauterpacht Research Centre for International Law, University of Cambridge. Before I engage with the substance of Thiago Braz Jardim Oliveira’s excellent reply to my British Yearbook of International Law casenote and Oxford talk (available here) on the Khurts Bat case, I would like to thank him for bringing both to the attention of a far wider audience than they have likely enjoyed until now. We all spend ages working on these things while others are stopping to smell the flowers, often only for the fruits of our labours to lie unread or unheard by all bar those on whom we pull a weapon. So muito obrigado, Thiago. By way of rejoinder to what Thiago says, I will make only a few brief points. Any proceedings before a court are by definition judicial proceedings, whether or not they involve the adjudication of the legality of given acts. In those legal systems where a request for extradition is dealt with, at least at a preliminary stage, by a court (and I have always laboured under the belief that this was what made extradition ‘extradition’, as opposed to mere executive surrender of custody), extradition involves judicial proceedings. Where extradition involves judicial proceedings, these proceedings are of a criminal character—that is, they are heard by a criminal court, often in the form of a magistrate, rather than by a civil or administrative court. In short, extradition proceedings, where they take place, are criminal proceedings.